The Borough of Union City hosted a Tire Recycling event on Saturday, June 3, 2017 for residents of the Borough. It was partially funded by a grant from the Pennsylvania DEP. It was such a success that a second dumpster had to be brought in and over 85,000 lbs of tires were collected. 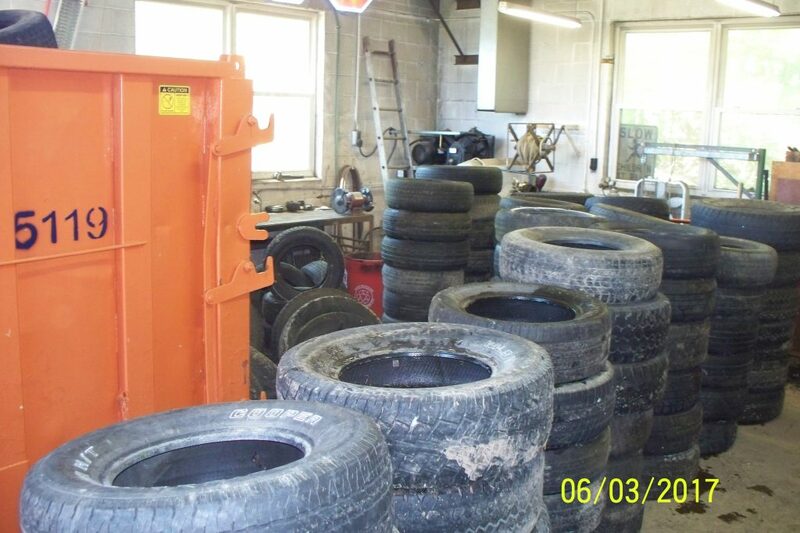 They were then taken to be recycled at a plant in Lockport, New York and ground into crumb rubber. That is in-turn used under the turf on athletic fields, combined with asphalt for roads, used for walkways or many other uses.